The ultimate way to light a fire in any weather. 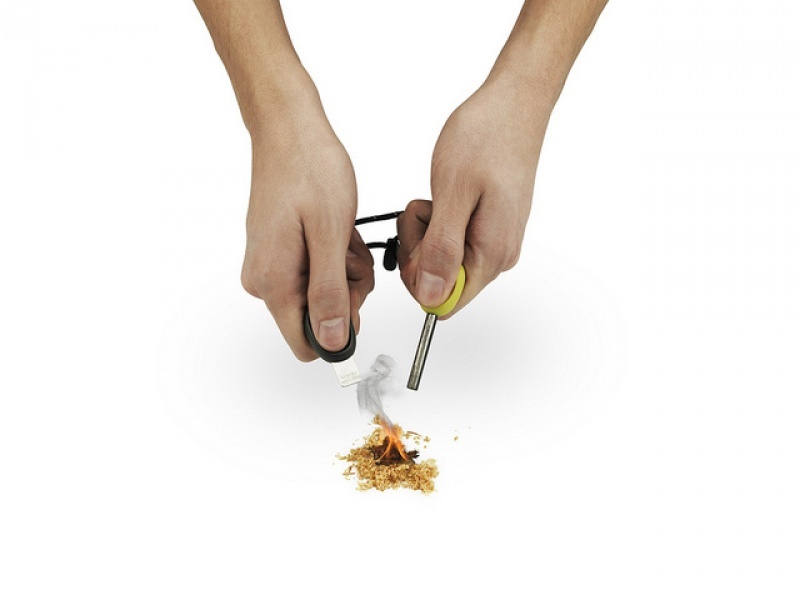 Originally developed for the Swedish Department of Defense, our legendary Swedish FireSteel® is the original magnesium fire starter. 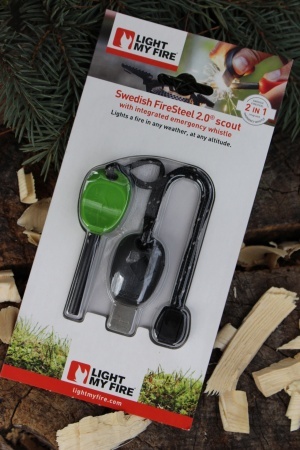 Our second generation Swedish FireSteel 2.0® comes with an improved striker that makes it even easier to build a fire in any weather and at any altitude. It has a new design, a color matched flexible cord and a built-in emergency whistle. Purchase through PayPal by using the "Add To Cart" button above or use the form below to order the Light my Fire Scout 2.0 firesteel Green . Feel free to contact us if you have any questions about the Light my Fire Scout 2.0 firesteel Green .